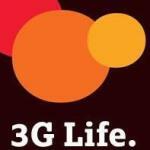 A lot of hype has been created regarding DoCoMo’s 3G in past few weeks and today the day of official 3G launch has come. Tata DoCoMo’s 3G signals are available in many parts of India since 5-6 days but as of now we are reviewing their services in Pune (Maharashtra). Like I said, 3G signals are available from 5-6 days but access was not granted until today. We are able to select DoCoMo 3G network in UMTS mode from 5th November, 8:00 AM. We tested DoCoMo 3G speed in Pune and got the following result: . This speed of DoCoMo has surely raised the bar of mobile data services in India. Recently we covered the news of BSNL 3G lowering the price of unlimited data plans. It will be interesting to see DoCoMo’s tactics to stay right on top in this 3G war starting today.